America’s cities are entering a thrilling new chapter, and transit is playing a vital role in connecting citizens with the city’s latent economic potential. Transit can reignite historic industries and neighborhoods, build new public and private partnerships, and create more vibrant cities that share economic development with everyone in a city community. Community leaders are shifting to an agile mobility mindset to better connect citizens with their jobs, education, shopping, and healthcare—without the expense and concern of traffic congestion and sprawling commutes. 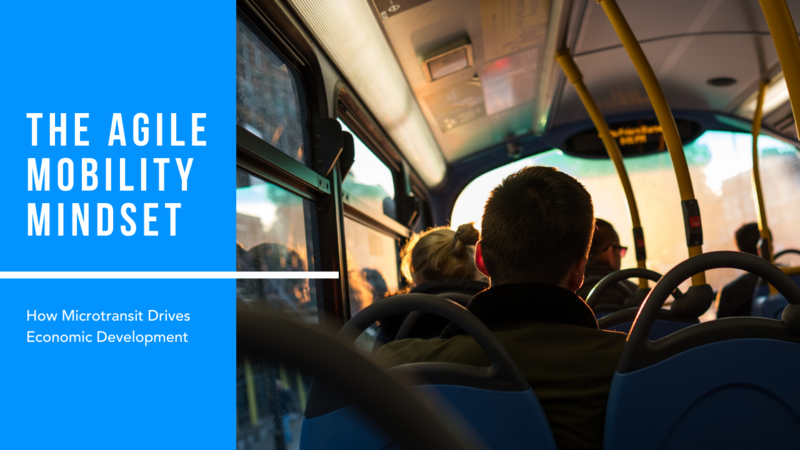 This white paper includes case studies, actionable solutions, and municipal leaders' thoughts on how transit powers economic growth across urban, suburban, and rural communities with this new mindset. Get a closer look at how communities across the country are embracing new approaches to mobility to drive economic development. Download The Agile Mobility Mindset today!